••• Image © Mitchell Funk / Getty Images. Las Vegas Sweepstakes: Win a Trip the Family Will Love! Las Vegas is known as "Sin City," but it's so much more than that. It's a place that offers fun and excitement for everyone. If you're looking for a great vacation destination for a family trip, a best friends' getaway, a relaxing spa experience, or a nature retreat, scroll down the page to find Las Vegas sweepstakes to enter. Las Vegas offers many options for the budget conscious. In fact, some of the best things you can do in Vegas are free. 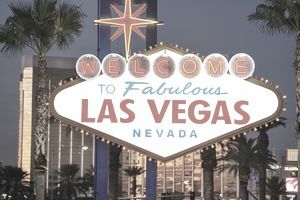 But if you win a trip, you can experience some of the world-class dining, entertainment, shopping, and pampering that Vegas is famous for, without breaking the bank. Many of these sweepstakes and contests come with VIP extras, like front-row show tickets, penthouse hotel suites, and dining at Michelin-starred restaurants, included. But even if you win a bare bones trip, you could put some of the money you've saved on airfare and hotel towards treating yourself to something special. If you have made up your mind to win a free Vegas trip, come back to this page every day. Entering the new sweepstakes and the daily sweepstakes regularly will help you increase your odds. Also, check out my 22 Best Sweepstakes Tips Ever and learn how to win more often. Signing up for my free sweepstakes newsletter will keep you in the loop about new sweepstakes to enter and more winning advice. Want to Win Trips to Other Vacation Spots? You could win a $15,000 NASCAR vacation for your family or a SunnyD racing prize pack.